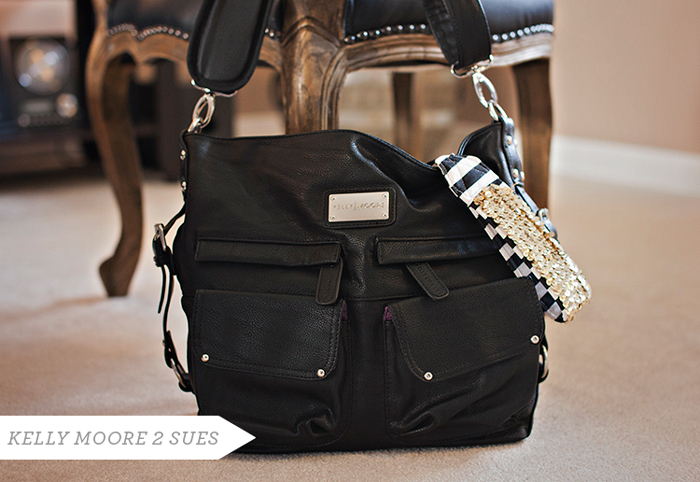 Tell us a little about what’s inside your Kelly Moore 2 Sues bag. 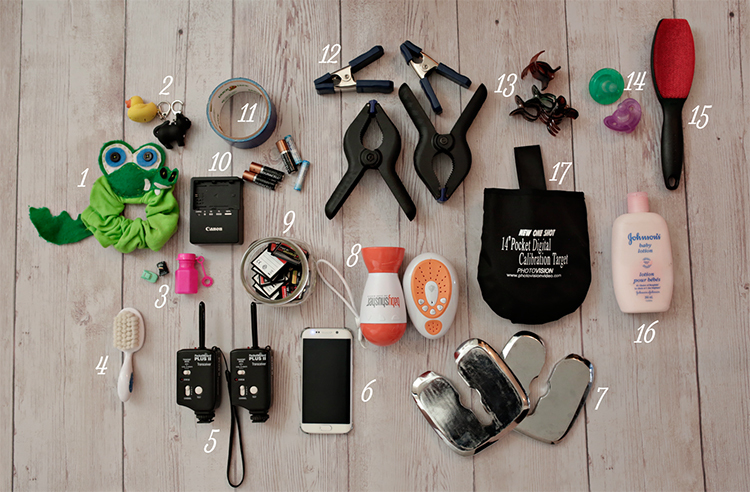 Going through my bag for this post I found some things I probably shouldn’t have! Old pens, even older biz cards, candy smushed at the bottom … I bought a brand new bag this week because my current bag is so well loved, it’s seen better days! I got the exact same bag again! I found a steal of a deal and I love the original so much, I figured I should stick to what I love! 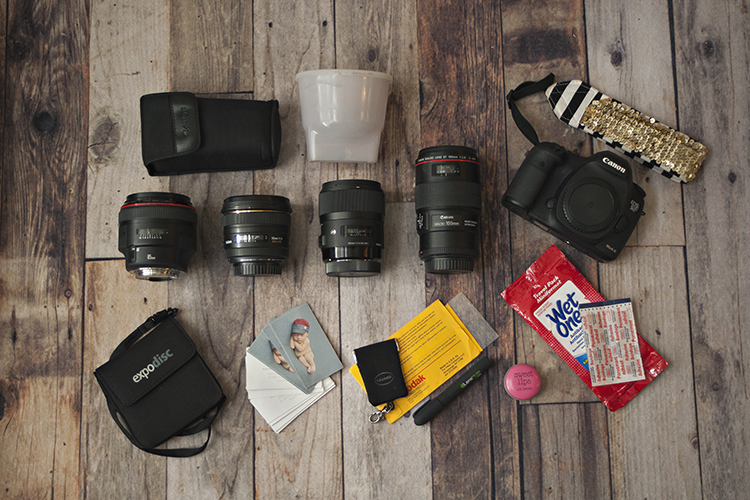 Inside I ALWAYS carry wet wipes for sticky faces, teeny tiny toys that can fit in the palm of a timid toddler, lens cleaning cloth, lots of memory cards (I’m paranoid that one will break or go missing), bandages for blisters (on me), lip gloss, and of course my equipment arsenal! This includes: Canon Mark III (Mark II is my backup), Canon 85 mm 1.2, Sigma 50mm 1.4, Sigma Art 35mm 1.4, and when photographing newborns I also use a Canon 100mm Macro 2.8. For family sessions, sometimes I bring along my ExpoDisc, but I’ve gotten pretty good at knowing what I need my WB (white balance) to be at, so I’m pretty lazy with the disc. 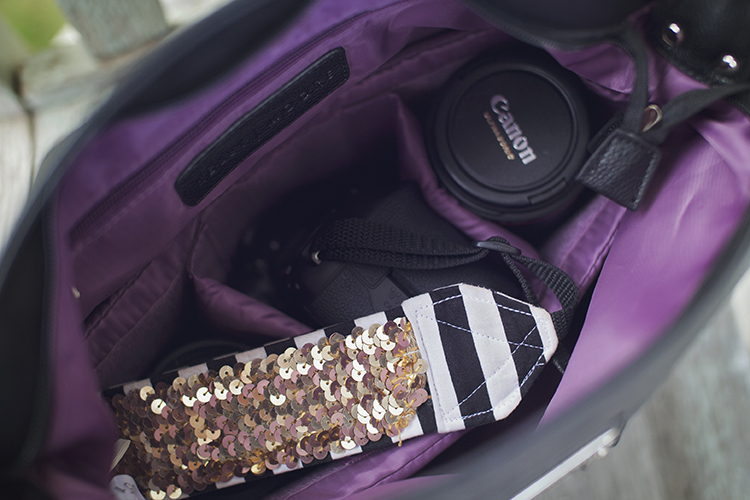 VERY rarely do I ever bring my flash and Gary Fong diffuser, but I do always bring along a big ol’ reflector. I also have treat bags for the end of sessions for kiddos, and it’s come in handy — even a year later, when I do another session, they STILL remember the goodies they get to take home! I usually let them have a sneak peek into my bag, and make it a secret between us that they will get to take it home if mom gets the pics she wants. For maternity and most family portraits, it’s my Canon 85mm 1.2 … I love everything about this lens; it’s so dreamy. For newborns it’s my Sigma Art 35mm … no more standing on stools or tiptoes when shooting from above (my fave way to pose). When I’m at home it’s my PhotoVision target; I use it to set proper exposure and white balance with studio lighting. My speed flash and … business cards! I never ever hand them out! I do have them on hand if anyone asks for one, but when I’m on a shoot, I’m either in my own studio space, or running around in some remote park area, so I rarely do anything with them. 2. Squeaky key chains that I pull out for extra fussy kiddos — when the key chains make a noise, the kids stop in their tracks! 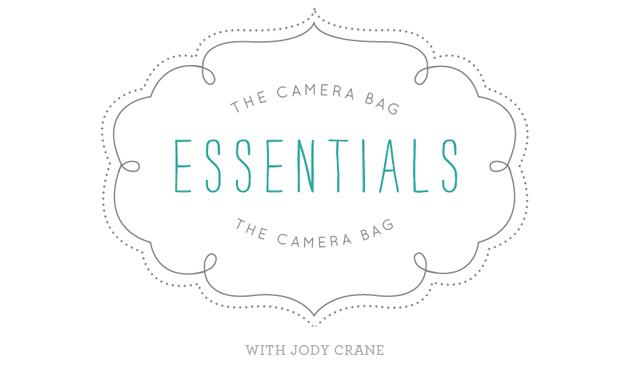 Thanks for giving us a look into your camera bag, Jody! For more from Jody, and for booking inquiries, please visit her website, Like her Facebook page, and Follow her on Instagram. Don’t forget to visit her workshop web page, Facebook page, and Instagram account!